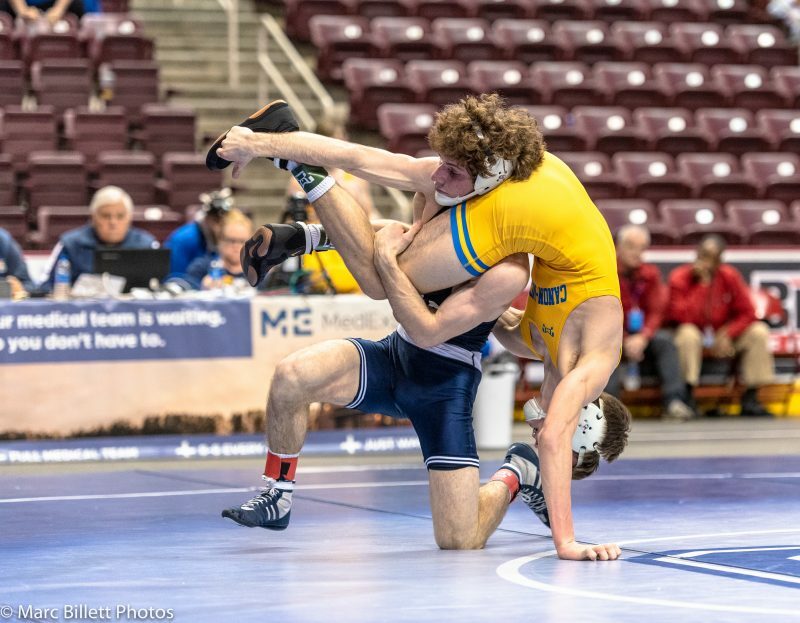 The #1 ranked Bethlehem Catholic Golden Eagles got a nice addition to their line-up just in time for the PIAA State Dual Team Tournament. Junior Tavion Banks, an outstanding football player, was a NE Regional qualifier a year ago and has seen varsity action for head coach Jeff Karam the last two seasons. Up until their opening round match of Team States, Tavion has not been on the mat this season. Now at 182 pounds he is yet another piece in their puzzle to repeat as PIAA State Champions.